Makerversity Amsterdam is looking for a bright, enthusiastic, self-motivated and ambitious individual to join our small but mighty team. You will be encouraged to own your role, have fun with it and innovate where you can. We’re all about collaboration, so expect to roll your sleeves up and get involved. There is always something to do here so we celebrate initiative and teamwork. We are a close-knit team who enjoy having a laugh while also cracking on with the task at hand. You’ll need a keen eye for design and an attention to detail, as well as excellent written and verbal communication skills. In your role you’ll be guided by, supported by and working alongside every member of our team; Director, Community Manager, Learning Manager and Workshops Manager. In your role you will be given an Access All Areas pass to source both written and visual content. We need you to give meaningful, engaging and exciting viewpoints of what goes on behind our doors communicated regularly to our followers. 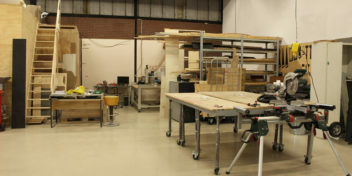 For instance exploring our multi-disciplinary members work and how to bring that to life, showcasing the possibilities our workshop and machines offer, or profiling our projects or events. We encourage creativity to formulate new exciting content routes you could try. With your content story nailed we need you to share it with impact across our current (and future?) comms channels – traditional, social, newsletter etc. You will be required to create a regular and exciting editorial calendar in collaboration with the team and projects they have on. 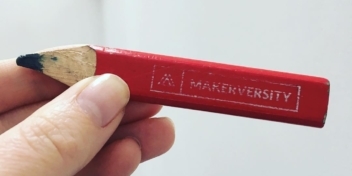 A key element of Makerversity is continuing to spread the word and gain traction among the local community. 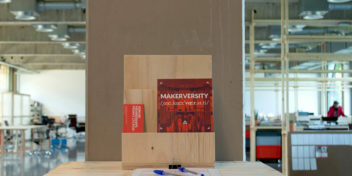 You will be tasked with sourcing relevant events the Makerversity team or our members should attend or showcase at. Entrepreneurialism: learn with confidence the inner workings of not one but multiple nimble start-up businesses across a broad range of creative and tech industries. Creative Autonomy: ownership of brand collateral design tasks using existing guidelines and assets. Named Role: the content you create for us will be directly attributed to your name on the blog, you will also be given a profile on our team page. Problem Solving: the chance to make real impact on the day-to-day operations of a leading co-working maker space. Potential Job Opportunities: access to a broad range of businesses both in London and Amsterdam. Rapid Prototyping: inductions on all machinery to become a fully fledged maker. Take the lead in sharing an event we host across all our social media: Instagram, Twitter etc. Take initiative to find topics to write about/create visuals for. Design or write the brief to design a poster for next month’s event calendar. Assist the team in setting up an event. Create video content to push live on our Facebook channel. Research the best platforms for Makerversity to be communicating on. Do a photoshoot of our members work and then share it across platforms. Help keep the office environment a happy place to be – stocking the kitchen…we all chip in! Assist one of our member business’ with their own marketing. Represent the team at an event, conference you choose as relevant for our marketing…e.g. Smart City, Creative Mornings, Pecha Kucha Amsterdam, TEDx, A City Made By People. Passion / education in Communications and everything that goes with it. Experience in, understanding and use of marketing channels and how to make them work hard for us: traditional media, social media, newsletters etc. Curious and motivated to try the newest possible marketing channels, technology and techniques relevant to our audiences. Competent writing in English and Dutch (Dutch is useful but not essential) – able to share an engaging message with passion and conviction across short-form (Twitter) and long-form (Blog). Confident behind a camera to do photo-shoots. A great eye for design and our brand identity applied to photoshop, photography and video. Able to ‘quickly knock something together’ where necessary. An interest in the broader industry and current trends; creative, tech, fashion, hardware, arts. Please send a copy of your CV/portfolio and a cover letter highlighting how you meet the programme criteria. All documents to be emailed to hallo@makerversity.org – internship to begin in April.